More than 450 students participate in the Fall Fest. In November 2017, USEFP marked International Education Week (IEW) by hosting a wide variety of activities that highlighted the benefits of international education and cultural exchange. Under the banner of IEW, EducationUSA not only engaged students in enjoyable, character-building activities, but also provided them with the opportunity to learn about U.S. college applications and reflect on their career prospects. 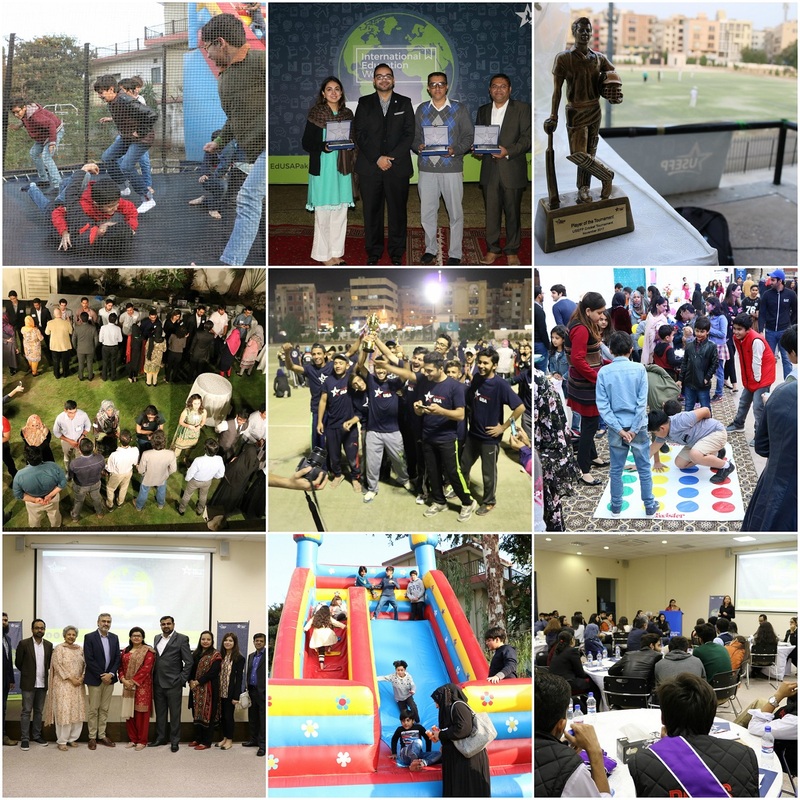 With a total of 14 engaging and informative events organized across Islamabad, Lahore, and Karachi, USEFP was able to reach out to a staggering 4,000 people during IEW 2017. A special cohort of EducationUSA Citizens always aims to instill a sense of civic responsibility and philanthropy in students through it various efforts, be it blood donation drives or charitable giving. In IEW 2017 also, the same spirit was kept in mind while organizing the Fall Fest Carnival and EducationUSA Citizen’s Finale. To celebrate Fall, USEFP Islamabad organized its first ever Fall Fest Carnival. The carnival was a resounding success, attended by over 450 students, despite a tenuous security situation within the city. Students participated enthusiastically in the organization and execution of the event. The carnival boasted a smorgasbord of home-made desserts and savory items, interactive games, and booths for arts and crafts. The event raised over $2,700, which will go towards the Eidhi Foundation. Similarly, the EducationUSA Citizen Finale was held in Lahore, to share the results of a six-month community service project under which student volunteers visited underserved schools and counseled underprivileged students on developing career goals. All three cities hosted a High Achievers’ and Counselors’ Ceremony to recognize and celebrate high school students who performed exceptionally well inside and outside the classroom. The ceremony also acknowledged the work of school counselors, whose relentless efforts help students realize their dream of studying in the U.S. Three counselors from each city were honored in three different categories; Students’ Choice Award, Counselor of the Year, and Most Promising Counselor. Another first at the IEW this year was the Career Day event, held at USEFP offices in Lahore and Karachi. The event provided students with a unique opportunity to meet, network with, and speak to accomplished professionals from industries including education, civil service, IT, hospitality, public speaking, and marketing. IEW highlights the benefits of international and cultural exchange through a variety of activities. Among some of the crowd favorites, each year are the dramatic reading contest and the sports competition organized as part of IEW. Like preceding years, the dramatic reading contest in 2017 brought out students’ creative talents featuring poetry recitations, dramatic monologues, and some highly entertaining impressions, in both English and Urdu. After tough deliberation, the judges finalized three winners, and a long list of honorable mentions. Alongside dramatic readings, USEFP also organized sports tournaments in all three cities to foster healthy competition and build team spirit among students. USEFP Islamabad, in collaboration with Islamabad College of Arts and Sciences (ICAS), sponsored a week-long sports championship, attended by over 1,200 students from 20 schools, who competed in football, basketball, badminton, table tennis, and pool. Cricket tournaments were also held in Lahore and Karachi, bringing hundreds of young athletes together for an exciting day of cricket matches. Similarly, EducationUSA facilitated exclusive in-school visits for a representative from Purdue University across the three cities reaching out to hundreds of students across Pakistan. 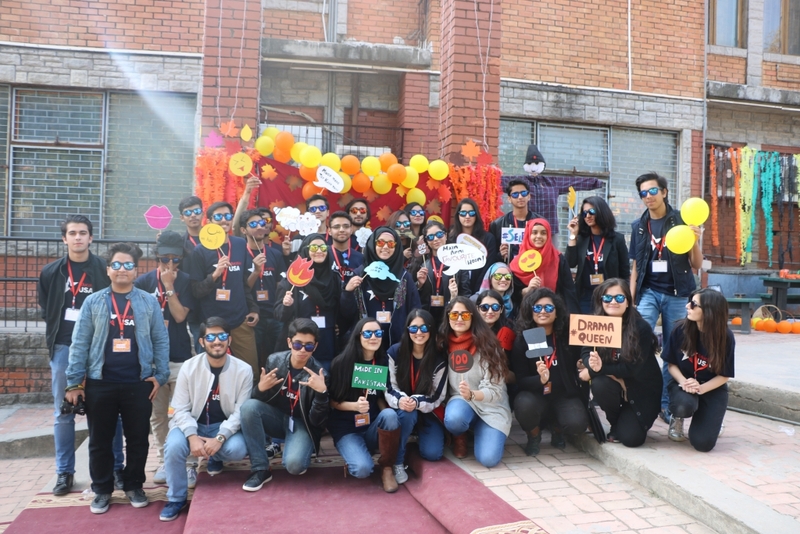 IEW 2017 was enthusiastically received and attended across Pakistan, making it a tremendous success and something that students from across the country eagerly await. USEFP Executive Director, Rita Akhtar, encouraged students and parents to take advantage of the IEW activities and learn more about higher education in the U.S.